I am in a bad mood with my crochet cushion so I have officially put it to one side whilst I decide whether to finish it off or rip it out and try again with some new colours (which actually makes me a little sad). I have plenty to be getting on with at the moment with the little quilt I am making, but I need something relatively mindless to do in front of the television of an evening. The ripple blanket I made on our holiday to Florida was the perfect kind of project so I was after something the same but different (if you know what I mean!). 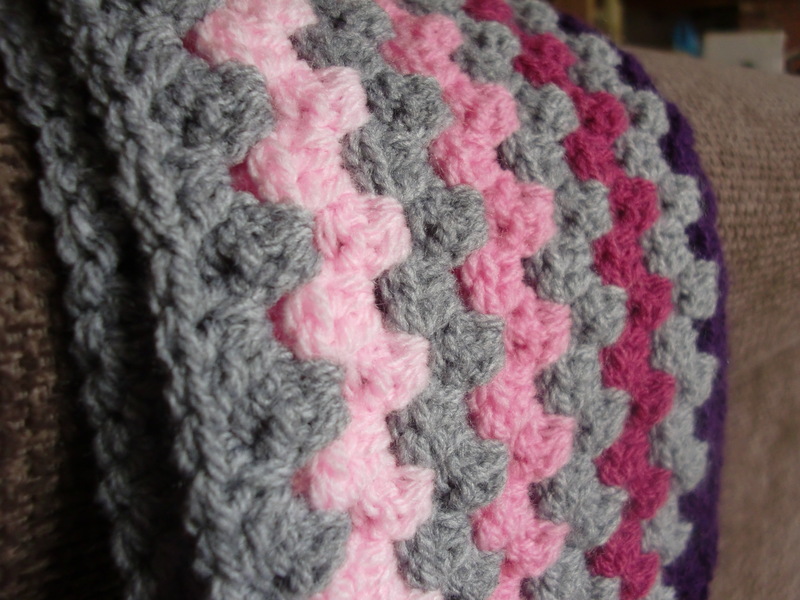 Lucy at Attic 24 came to the rescue again with her granny stripe blanket pattern. 2. 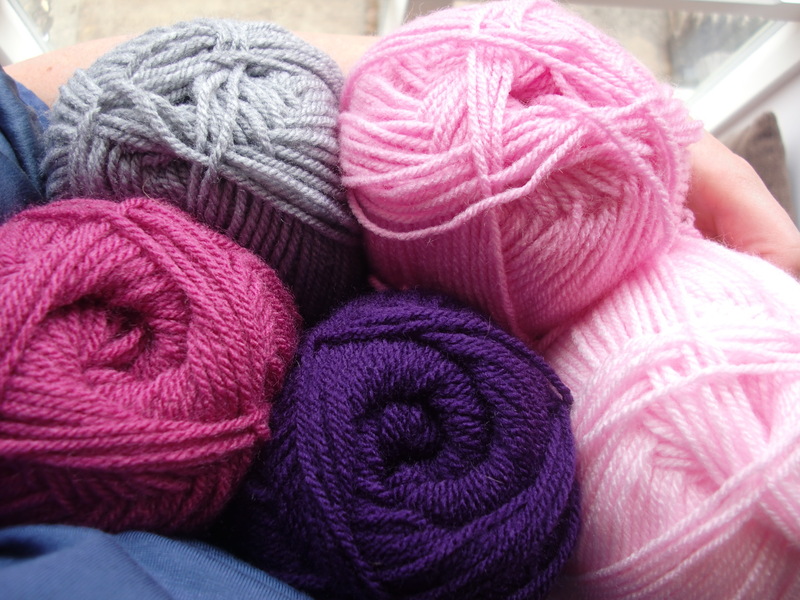 Care – hand washing really isn’t one of my favourite pass times (you should see the pile in the utility room) and this yarn I am using is washable and you can put it in the tumble dryer! As this will be a blanket for the little ones, this is just perfect! 3. Cost – When you are working on a large project it really can make a bit of a difference. Or at the very least it means that you can buy double the yarn and make two projects for the price of one! I have made a start on the blanket and have done one round of each colour. We are off on holiday next week so I need to make sure I don’t do too much of it before I go or I’ll be on the hunt for yarn shops while I’m away…..